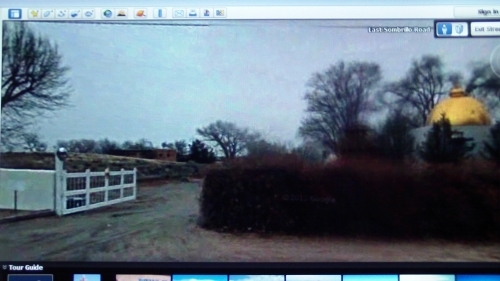 New sign at SikhNet office: "NO GUNS" includes Sikhs! Yogi Bhajan's dera bans guns for self defense! Yogi Bhajan's cult also states "We reserve the right to refuse service to anyone and to request that persons leave and refrain from returning." Yogi Bhajan cult leaders told me to leave & not return to their Peace Prayer Day because of my social media posts which openly criticize Yogi Bhajan and his tantric Yoga. 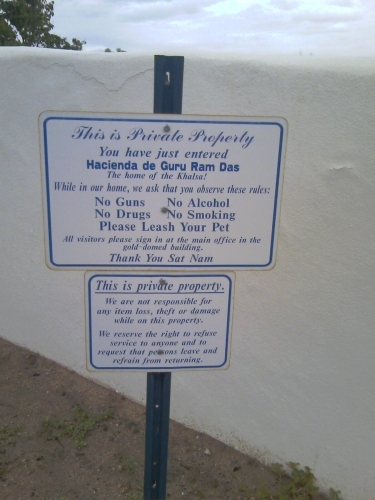 My visit to SikhNet's home & Yogi Bhajan's "Hacienda De Guru Ram Das Ashram" in Espanola..